Snowmobiling trip in Michigan's UP near Twin Lakes and the Keweenaw penninsula in late January 2005. 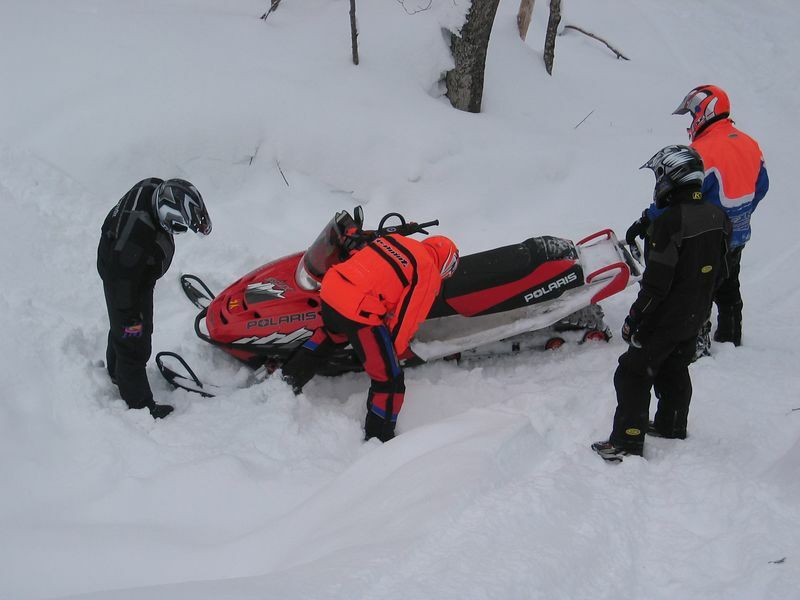 While exploring along the power lines Ron's rental sled popped a trailing arm off its mount. A little creative beating got it back in action for the climb up out of the gully.